In vitro plants with minimal root system (like purchasing an unrooted cutting) special request only. In vitro material with roots packed approximately 35 plants per tub according to variety. Minimum order of 100. These must be finished or hardened off in a green house faculty for approximately 5-6 weeks. Plants that have been hardened off and ready to be transferred into containers of your choice or to outdoor plots. Cloned plants are uniform in size and shape, and are genetically identical. Tissue culture processes are unaffected by seasonal changes. Plants can be produced all year round. Plants derived from a disease indexed mother plant maintain the same status as the mother plant. 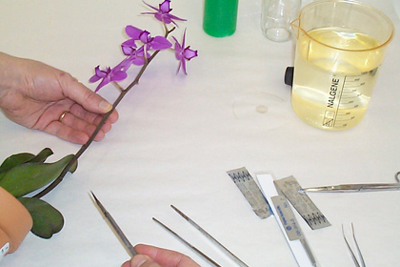 Our tissue culture techniques are cost effective.